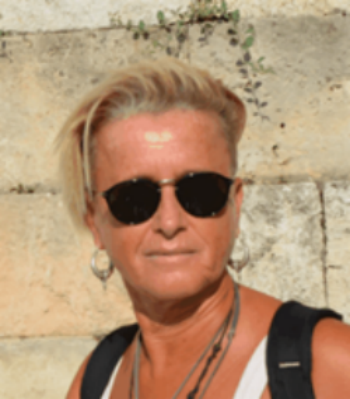 Maria Cristina Fossi is Associate Professor of ecology and ecotoxicology at the University of Siena and since 2000 is Scientific Director of the Biomarker Laboratory (CIBM). She gave a key contribution to the development of the biomarker approach in terrestrial and marine ecotoxicology. Her research has focused on: development of ecotoxicological test in bioindicator organisms for off-shore and on-shore oil extraction (ENI-IT), evaluation of endocrine disruptors in marine species, assessment of cetacean ecotoxicological status in Mediterranean Sea, Gulf of California, Indian Ocean, investigation on presence and effect of macro and microplastics and plasticizers in Mediterranean ecosystems. Since 1991 she developed innovative diagnostic tools for ecotoxicological assessment of threatened species (marine mammals, birds, reptiles) bringing to the establishment of methods (non-destructive biomarker approach) currently acknowledged as golden standard at the international level. Thanks to her work on skin biopsies, she is a world reference for the assessment of ecotoxicological risk in cetaceans. Since 2001 she published the first papers on effects of on Endocrine Disruptors in Mediterranean marine top predators and long-living organisms. In 2012 she provided the first evidence worldwide on the effects of microplastics on baleen whales. She is author or co-author of over 550 original papers (articles, review articles, chapters and books; H-index = 29). Maria has been coordinator of 18 National and International research projects. She is involved in several international scientific organization (e.g. Past-president of SETAC Italian Branch, International Whaling Commission, etc). Her lab has a central position for research on marine litter on Mediterranean Sea and a key role in the implementation of the EU MSFD at national level. She has been panel member for evaluation of projects for EU Commission and international institutions (eg: MISTRA (Sweden), Barcelona Convention, CIEMS, JPI Oceans). Maria is also involved in intense scientific communication and dissemination activity (media, magazines, web, films) about the ecotoxicological effects of contaminants in the Mediterranean fauna and on the effects of microplastics and in marine organisms. She was involved in the organization of more than 15 International Conferences and as Invited speakers in more than 30 Conferences. She participates as PI at 25 Research Expeditions in the several areas of Mediterranean sea, Chile, Argentina, Mexico and Australia.